With the growing demand of 3D passive technology, Vutec has introduced a high-definition 2D/3D passive projection screen: SilverStar 3D-P. This curved screen is engineered and balanced for HD, 2D and 3D all in one screen. Which delivers a seamless curved wide viewing area up to 181-inches diagonal (in 2:35:1). • Learn about projectors in our Video Projector Review section. SilverStar 3D-P performance begins with its innovative technology--patented silver-based material to provide the ultimate passive 3D and 2D performance. This technology reportedly increases color saturation while expanding contrast in controlled or uncontrolled lighting environments. Internal filtering components along with 3D glasses result in an approximate 50% brightness reduction. This is due to the polarization process that is creating the 3D effect and the tint on the lens of the glasses. By utilizing SilverStar 3D-P, the viewer will allegedly reclaim light loss to produce a vivid 3D and 2D image. 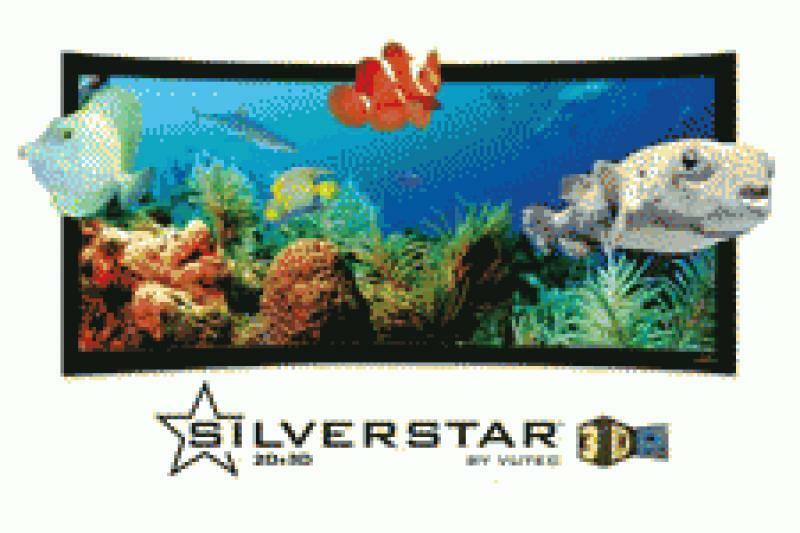 SilverStar 3D-P is Vutec's latest addition to the patented SilverStar 3D-A (active technology) projection screen.